For the unrelated puzzle game, see Castles (2015). 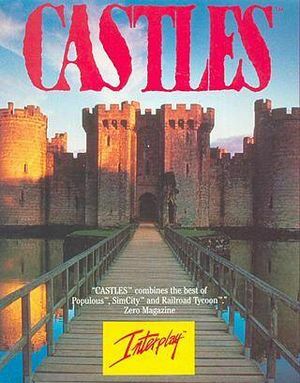 Includes the expansion and Castles II: Siege and Conquest. Pre-packaged with DOSBox. Remove the casint.exe line and save your changes. SAVEGAME.DAT contains a save index and must be present for saves to be loaded. 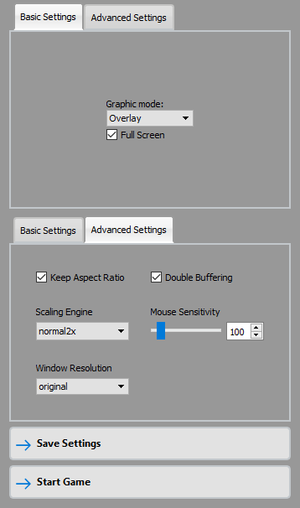 In-game settings are stored in each save rather than shared. Some settings are not stored between sessions. Disabled by default (toggle with J). Must enable at every launch with J (setting is not stored). Edit the DOSBox configuration file (dosboxCastles1.conf for the GOG.com version). Change timed=true to timed=false and save your changes. ↑ File/folder structure within this directory reflects the path(s) listed for Windows and/or Steam game data (use Wine regedit to access Windows registry paths). Games with Steam Cloud support may store data in ~/.steam/steam/userdata/<user-id>/666660/ in addition to or instead of this directory. The app ID (666660) may differ in some cases. Treat backslashes as forward slashes. See the glossary page for details. This page was last edited on 19 April 2019, at 07:27.